Blogging platforms like Blogger/Blogspot and WordPress, nowadays, have more to offer to their users than a non-techie person like me can ever take. Young bloggers, however make full use of the SEO (Search Engine Optimization) tools, easily available all over the web, plus the in-house statistics these sites provide you. Google analytics is a revelation in itself, and the stats offered by WordPress cannot be undermined either. More often than not, a novice like me tends to get lost in the maze of stat figures. However, on venturing out to know more about my visitors I could easily find the ‘search words‘ they entered, that led them to my blogs. Here, I am posting four songs that were ‘googled‘ and ‘yahooed‘ the most, during the past week. I was actually surprised to find Nirmala Devi among the top ‘search words‘ as she was not a very accomplished artist of her time. For those who do not know this, she is film actor Govinda‘s mother (died 1996). She also sang along with Lakshmi Shankar in a few acclaimed songs. Watch out for more ‘Most Wanted Songs‘ in future posts. The matriarch of Hindustani classical music, Gangubai Hangal died Tuesday morning, July 21, 2009, after being briefly hospitalized for heart and respiratory problems. She was 96. She died in Hubli, a city in Karnataka, India, where she lived. She was one of the most well known singers of Khayal, a style that belongs to the Hindustani (or North Indian) school of classical singing. Earlier this month, on July 16, 2009, another leading woman classical singer of Carnatic (or South Indian) music, D K Pattammal, died aged 90. 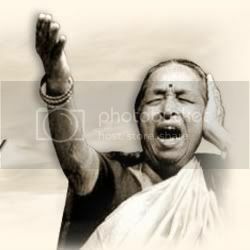 Gangubai Hangal was born on March 5, 1913, in the southern state of Karnataka and trained under Sawai Gandharva, a respected guru. Born into a family of boatmen, Gangubai Hangal battled the prejudice of caste, as well as the notion that singing wasn’t an appropriate profession for a woman of her generation. With her powerful, deep voice, Gangubai Hangal was often described as more gifted than most male singers of her time, and people had trouble relating her strong vocals with her small frame. She single handedly battled caste and gender prejudices to establish a career that spanned more than seven decades. 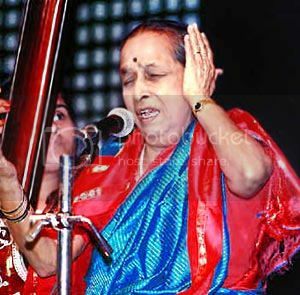 The doyenne of the Kirana Gharana was awarded India‘s prestigious civilian honours of Padma Bhushan and Padma Vibhushan in 1971 and 2002 respectively. 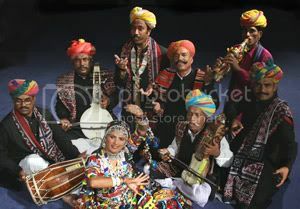 If the majestic forts and palaces are the body of Rajasthan, then the folk music is the soul of the land of the princes. The folk music gives the people of Rajasthan a means of forgetting the tough living conditions in the Desert and even adds a charm to this land. The Rajasthani style of music has made significant contribution in enriching the Indian music as a whole. One finds music of different flavors being sung here, developed according to the customs of the villages. 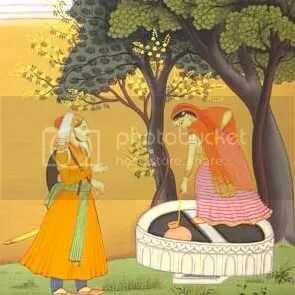 Here we find folklores, hymns in praise of the Lord, tales of chivalry of the Rajput kings, and songs in praise of the Rain God etc. P.S : As the number of music lovers visiting this blog has increased substantially in recent times, some music files in my previous posts may not play or download, because the allocated bandwidth has been depleted. Please bear with me and wait for a week or so, for the files to be reactivated. Any inconvenience caused is deeply regretted. The Raga, Malhar is a powerful legendary Raga in Indian classical music. Raga Malhar is associated with the atmosphere of torrential rains. There are many written accounts and legendary tales about Raga Malhar. According to the legend, Raga Malhar is so powerful that when sung, rain starts falling from the sky. Many great artists of the medieval, and much earlier period used to sing this Raga to invoke the Rain God. Tansen, Baiju Bawra, Mahanvilas Kanh (son of Tansen) and Meera are among the singers, who are said to have been capable of invoking rains, by singing various forms of Raga Malhar. 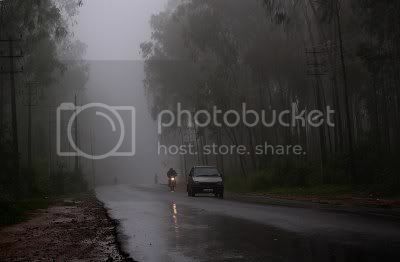 With certain parts of North and Central India reeling under intense heat and the monsoon still eluding the people living there, the Malhars posted above may bring some soothing, if not cooling, effect. In India, the common house crow (kaga or kagwa in hindi) is a widespread resident, except in high altitudes and dense forests. It is wholly dependent on human habitation for it’s survival. This highly vocal bird is seemingly unafraid of humans. Aggressive, it will attack and chase off any large bird of prey. 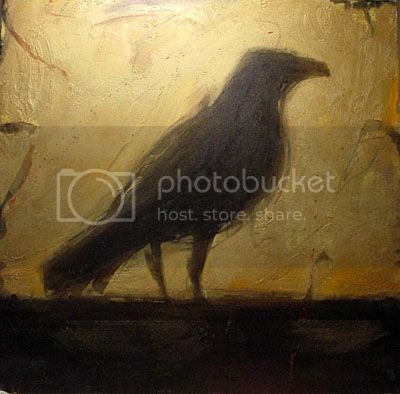 Strangely, the crow has been given a place of pride in our classical music. For reasons unknown it has played the role of a lover’s messenger (“Ja Kaga Ja“), which in many a lyrical khayals, is even promised a ‘gold plated beak’ in return of favours rendered (“Ab Ke Sawan Ghar Aaja“). Pigeons, the otherwise commonly known messenger birds, have been given a back seat here. Almost all vocalists have pleaded with this glossy black bird to pass on a message, in all Ragas possible, Raga Desi, Bageshri and Pahadi being the more common ones, although other Ragas are not being discounted.